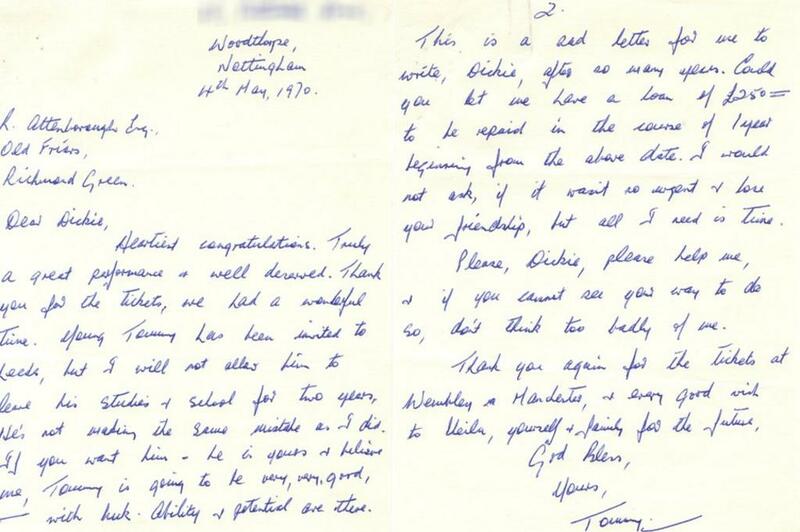 #AceHistoryNews – March.06: Nottingham footballer’s begging letters sell for £460 Letters between ex-footballer Tommy Lawton and actor Lord Attenborough – in which the player “begged” for money – sell for £460. Lawton rose to fame before World War Two and was widely regarded as the greatest centre forward of his era. But the most he earned was £15 a week and the striker, who played for Notts County, Arsenal and Chelsea, struggled financially after retiring in 1955. Blues fan Lord Attenborough replied with a cheque of £100.